The mug is 90mm high by 75mm diameter. Capacity 9 fluid ounces. 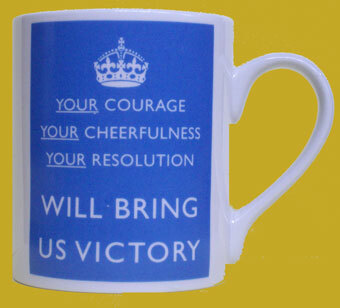 The original HMSO poster on which this mug was based was published in 1939.